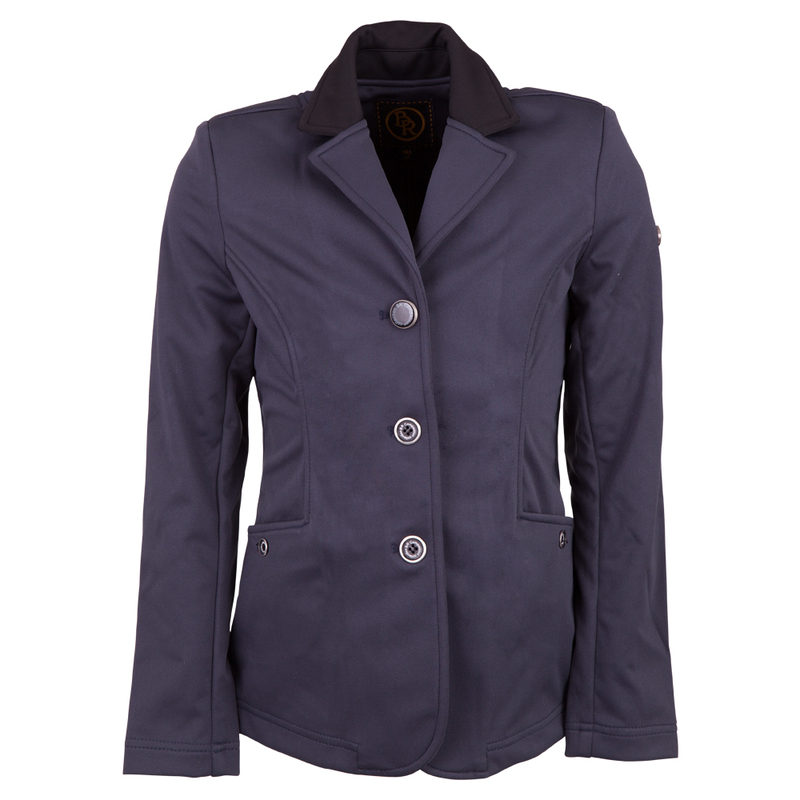 Waisted competition jacket made of 100% polyester soft shell. This comfortable material is water repellent, flexible and lightweight. 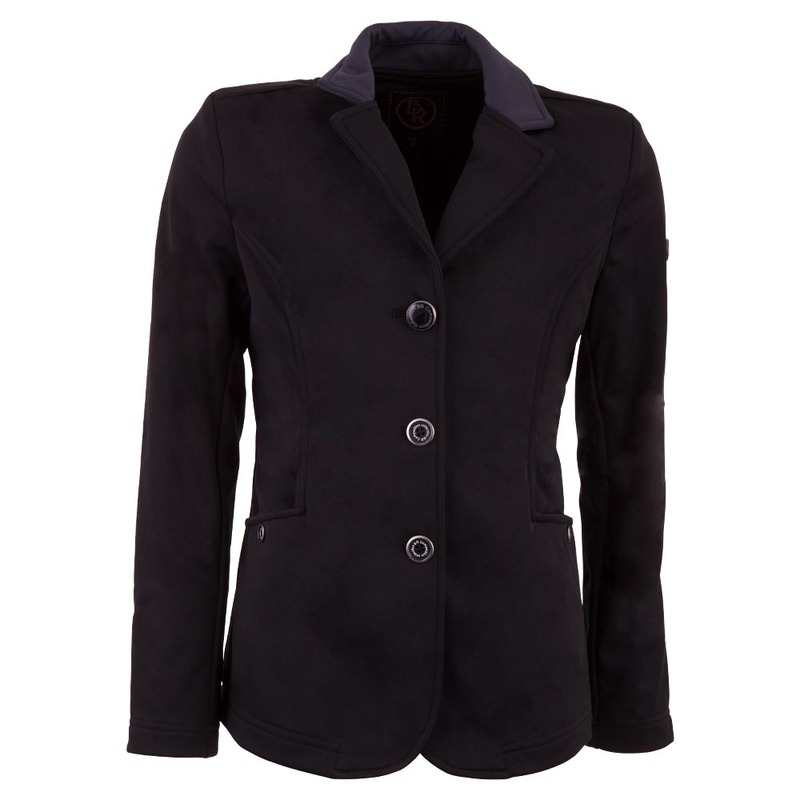 The jacket features three buttons at the front. A magnetic flag button can be placed on the upper button. Available flag colours: the Netherlands/France (RWB), Germany, Denmark, Sweden, Belgium, Spain and Great Britain. The stylish slit pockets at the front have a button closure. The sleeves have a comfortable fit. Both collar and elbow patches feature a contrasting colour. 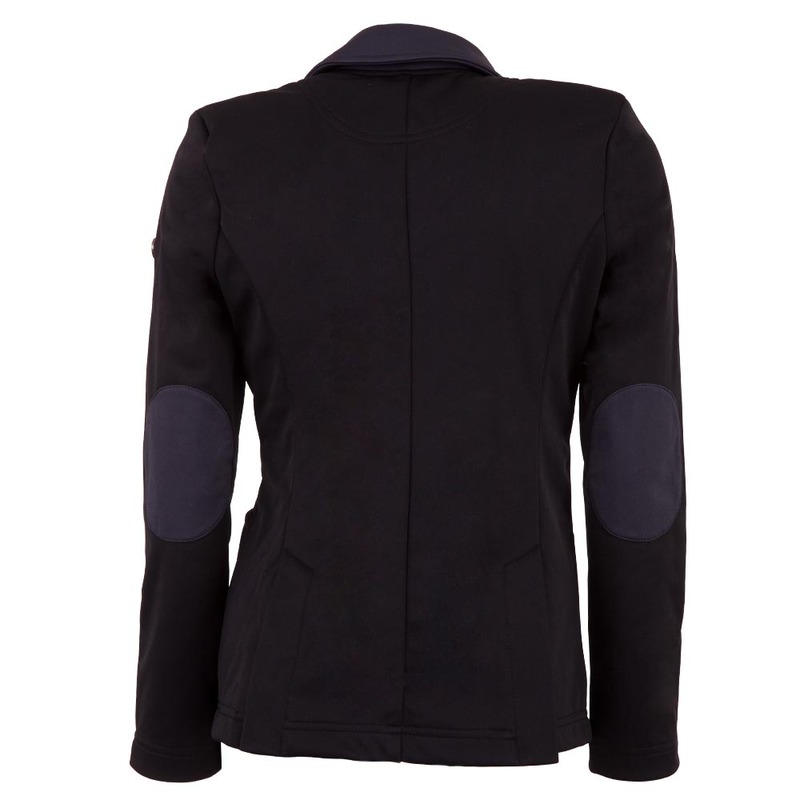 The jacket features two riding slits at the back. Machine washable at 30°C. You can order a free set of two magnetic flag buttons, article 649010, for each competition jacket. Note: make sure that you order these buttons yourself. Stylish, fitted competition shirt with short sleeves (SS), a zip-up collar and collar loops for the attachment of a stock tie. Both zipper and zipper puller have been decorated with imitation diamonds. 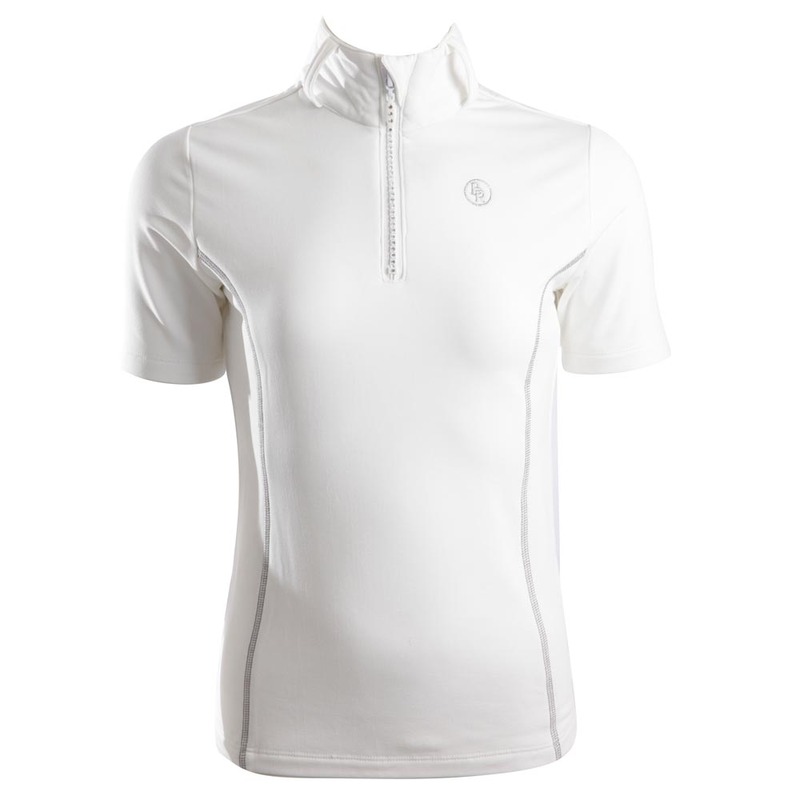 The shirt features comfortable stretch material and has been fitted with a contrasting overlock stitching at the back and front. The shirt has been decorated with a silver-coloured BR embroidery at the chest (left). Material: 92% polyester/ 8% knitted elastane. 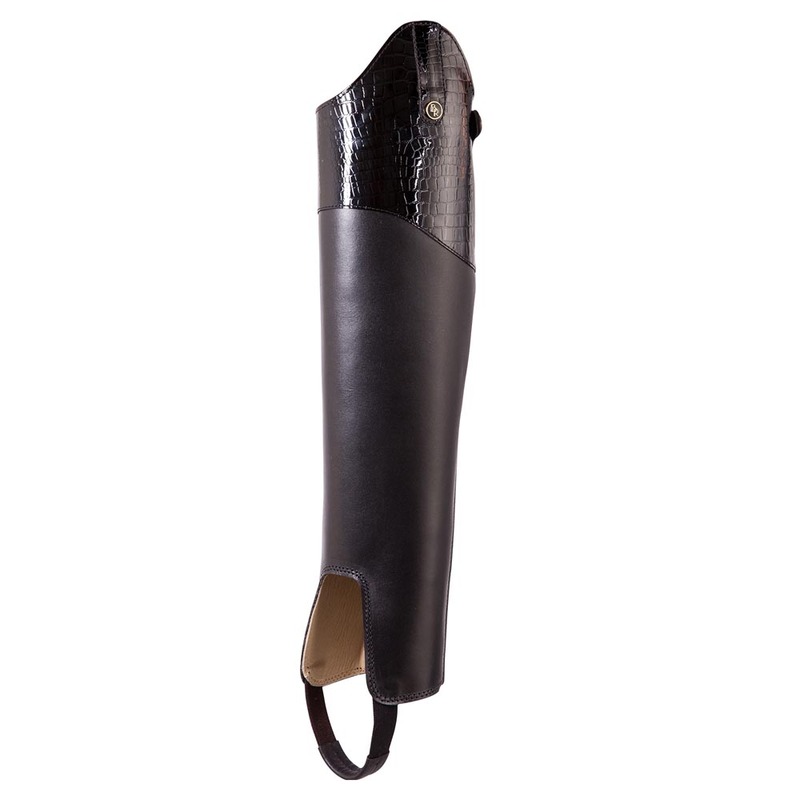 Luxurious gaiters made of smooth calf leather with a calf leather lining. The elastic inserts along both sides of the YKK zip provide a perfect fit. The zip closes upwards and features a press stud closure at the top. The gaiters have a Spanish topline (6 cm). Both the insert below and the press stud closure are made of patent leather featuring a crocodile print. The elastic foot strap has been reinforced with leather. The BR gaiters match beautifully with the BR footwear collection and therefore offer a comfortable and stylish alternative to riding boots.